Every business is in business to grow and make profits. For an SME, it is the same case coupled with the fact that they have to favorably compete with bigger and more established organizations. This can be a pretty daunting task. The internet has provided cost-effective, viable platforms in which businesses can grow their visibility and appeal to their target audience. This is a major reason why to be an efficient business in today’s world, a lot of options offered by the internet have got to considered. 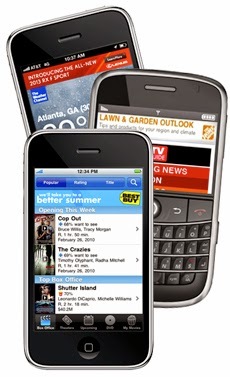 Mobile advertising is one way of reaching target audience groups online. In a continent like Africa where mobile drives internet penetration, it is considered as the most effective, less expensive way to reach out and ‘sell’. It creates a level playing field for everyone involved. Small Business owners can attract their own share of targeted traffic and grow their target market, amongst others, which will help them compete with large established companies in their field. Smartphones, tablets and other mobile internet-enabled devices have practically become something people cannot go about their daily lives without. The availability of mobile devices like smartphones, tablets and other internet-enabled devices has influenced purchasing decisions for a large number of people. Mobile advertising provides a huge opportunity for small businesses to market their businesses and connect their brand to a wider audience. Most SMEs have limited marketing budgets therefore owners ensure that any fund going out will yield a better return on investment (ROI) for the growth of the business. Mobile advertising is a better and cost effective way to promote their business and in turn will generate a good ROI for the business as opposed to the expensive cost of doing traditional advertising. Mobile advertising also gives SMEs, and other bigger corporations alike, the ability to monitor, track and deliver results. We believe that more SMEs can take advantage of mobile advertising to get their businesses to the desired heights. With this, we should see more local enterprises rising to multi-million dollar companies in the next few years.